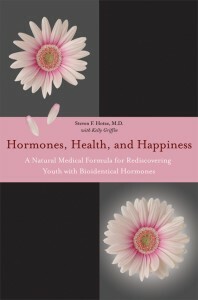 In his book Hormones, Health, and Happiness, Dr. Steven Hotze reveals how restoring hormones to optimal levels using natural, bioidentical hormones enables women and men to regain their vitality. Dr. Hotze discusses symptoms of hormonal imbalance in women and men, which include fatigue, weight gain, headaches, depression, insomnia, hot flashes, joint and muscle pain, brain fog, low libido, allergies and recurrent infections, to name a few, and addresses their solutions through his comprehensive 8 point wellness program that strengthens your immune system, balances your hormones, and increases your energy level. 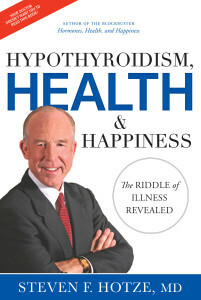 In his book, Hypothyroidism, Health & Happiness, Dr. Hotze reveals why hypothyroidism is so commonly undiagnosed and misdiagnosed by physicians. Dr. Hotze explains why hypothyroidism cannot be diagnosed by blood tests alone. He reveals the symptoms and underlying causes of hypothyroidism and the right way to diagnose and treat hypothyroidism. He provides you with practical information on how to take charge of your health and get your life back!.